Are you looking for the best way to change the look of your home? Selecting new window shutter colors is a great way to make your home stand out and give it a major facelift. However, figuring out what the best colors to use can be overwhelming. Here is a guide to help you learn how to pick window shutter colors that properly compliment your home. The appearance of your home will have a major part in choosing the right color. What does the exterior style of your home look like? Is it modern or contemporary? If your home is a traditional design, you want to choose something that is more of a classic style. A lot of people like to choose colors that are bright and bold. There is a lot of bright red, blue, and yellow paint options that will make a home stand out. Your home will have a certain exterior color that you need to compliment with the right window shutters. If the color of your home has a variety of colors, you can compliment it with just about any color scheme on the market. A great way to figure out which color is best is by getting a color pallet and watching your home throughout the day. The sun will highlight different colors and this can help you decide what you like best on your home. Take pictures of your home throughout the day to compare the colors as you take it to stores to compare it with the shutter paint options. How much renovation work are you planning to do to your home? When you are hoping for a basic paint job, you want to plan around the way your home already looks. You are not planning to change the shingles, siding, and other colors. The best thing to do is select a color that compliments all the colors you are already using on the home. 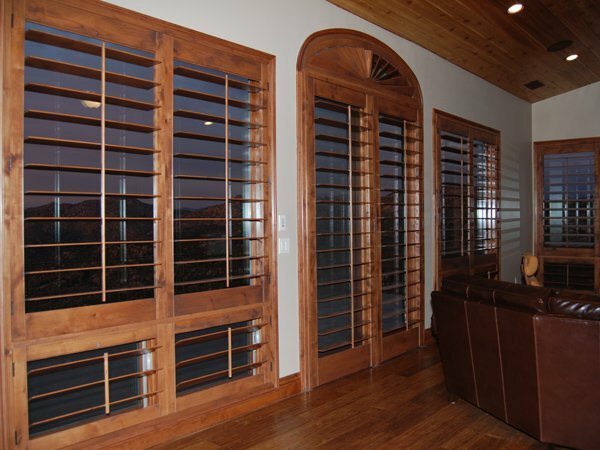 Do you want the shutters to really stand out when people come to your home? If the home is white, it is easy to change your shutter color to red, green, and blue as they do stand out. Colored homes often end up with white shutters as they create a great visual effect. You must determine how you want your home to look when you are comparing different paint color options. When you take the time to compare multiple paint colors, you will have an easier time selecting a paint color that is ideal for your needs.